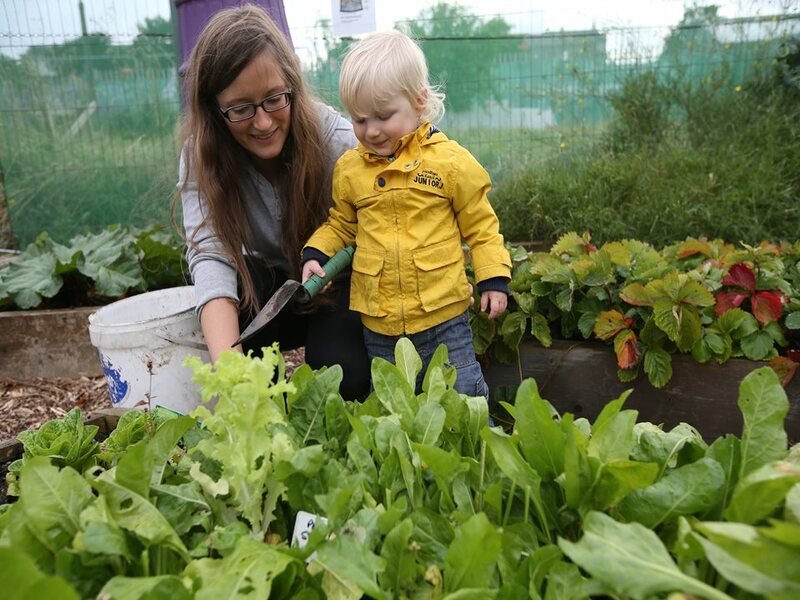 Croke Park’s Community Gain Initiatives are a varied range of events and services for our local community – with something to suit residents of all ages. There are computer programming classes for our young residents held in the stadium throughout the year and our especially subsidised Croke Park Community Cúl Camp for local children is a community highlight during the summer months. There is an annual Christmas recycling service and tonnes of free compost are provided to our keen local gardeners and nearby community gardens in the Spring. Our annual senior citizens party in December always provides great enjoyment - not just for our 650 elderly neighbours who attend but also to our volunteering stadium staff and the local Gardaí who make this a very memorable event in our community calendar. 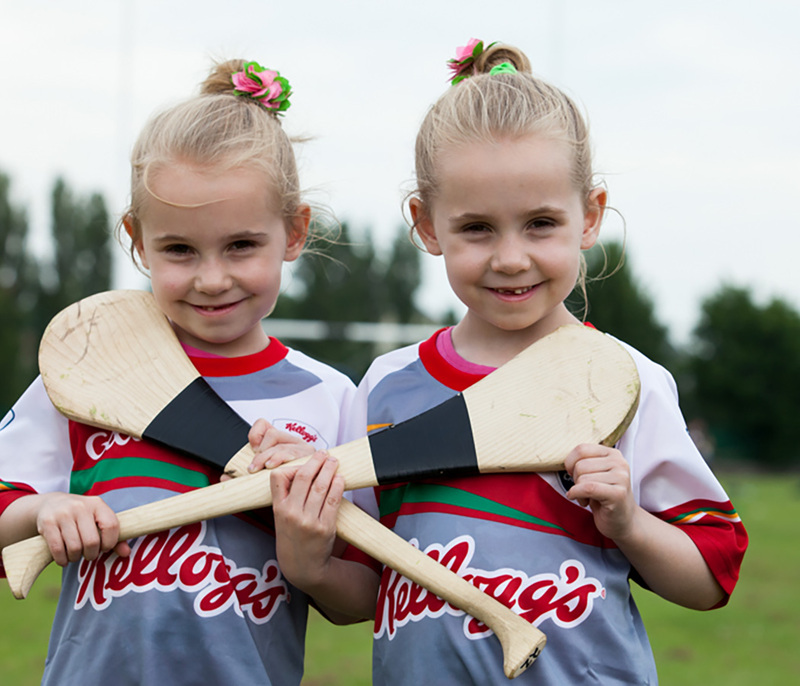 Every year, Croke Park subsidises a special cúl camp for children living in the stadium’s 1.5km community area. It's a fantastic summer experience for our youngest neighbours; the camp is games based, placing a strong emphasis on skill acquisition and promoting learning, friendship and improved health & well-being. Free CoderDojo computer coding classes are held in Croke Park for children aged between 7 and 17 who live within the 1.5km community radius of the stadium. Children must be accompanied by a parent or guardian to each class. Classes are on every Tuesday evening and entry to the class is by ticket only. Register your child for the class. Croke Park's free community compost campaign takes place annually in April, in conjunction with Thornton’s Recycling. Local residents collect over 20 tonnes of free Croke Park compost which derives from compostable waste collected from the stadium. 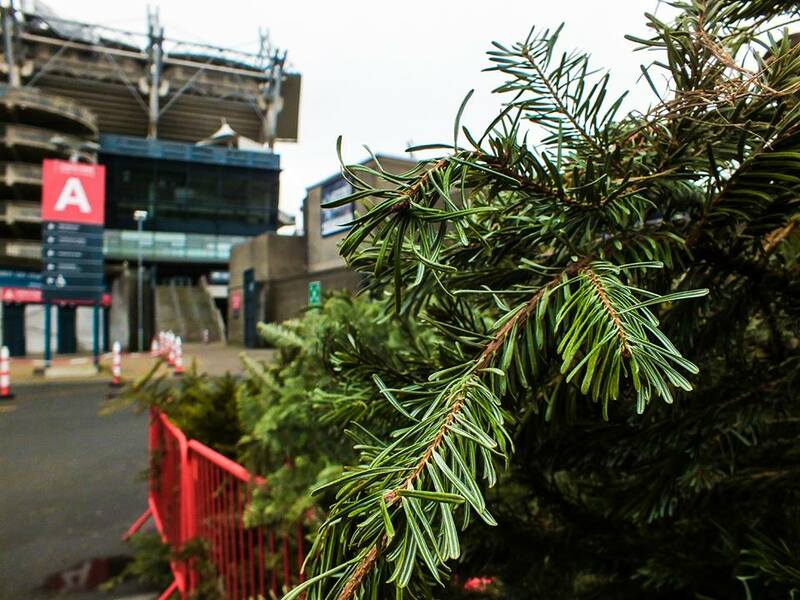 The Croke Park Christmas Tree and WEEE Recycling Service takes place each January and is available to all local residents. This year, over 1,000 Christmas trees and over 6 tonnes of WEEE electrical items were dropped into the stadium by our neighbours for recycling. Bopper Holland, from St. James' Avenue (far right in the blue jacket) is a member of the Croke Park Community Team. 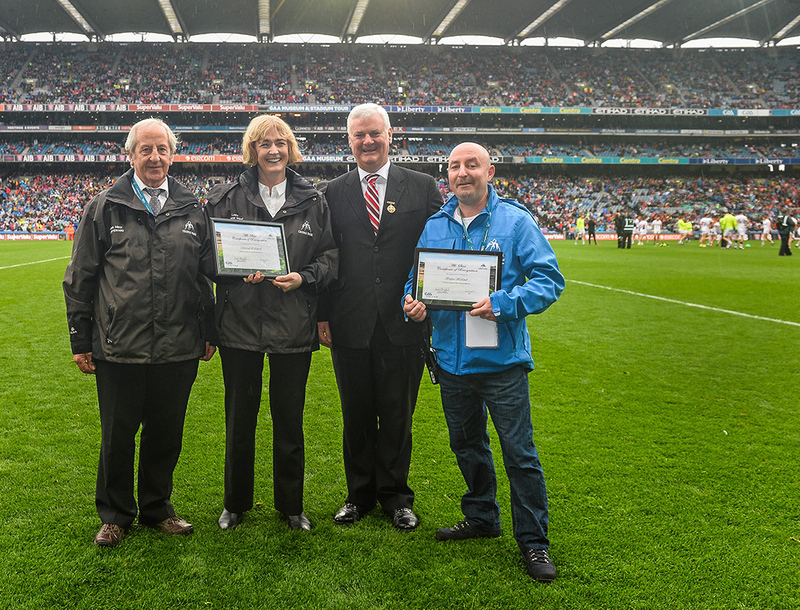 Bopper was one of Croke Park's unsung heroes who were awarded certificates of recognition by GAA President Aogán Ó Fearghail on Sunday, August 23rd. Bopper has lived in the shadow of Croke Park Stadium his entire life and has received many commendations from local residents and match goers for the assistance he provides on event days. Croke Park is very proud to have such outstanding team members working behind the scenes. Comhghairdeas Bopper! 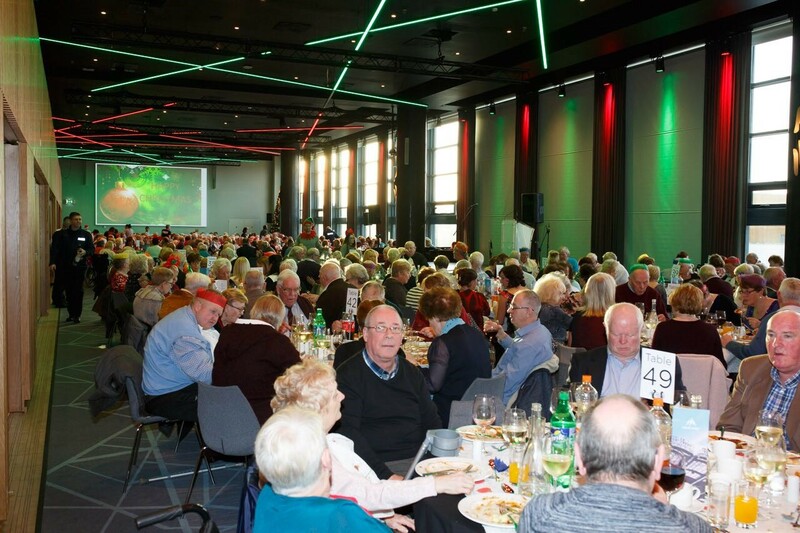 Each year in mid-December, we welcome 650 of our elderly neighbours to Croke Park for an afternoon of food, fun, dancing and laughter. Now in its 16th year, GAA staff, contractors and our community team along with the Gardaí in Mountjoy Station come together to volunteer at this very special community event.